Except for Mt. 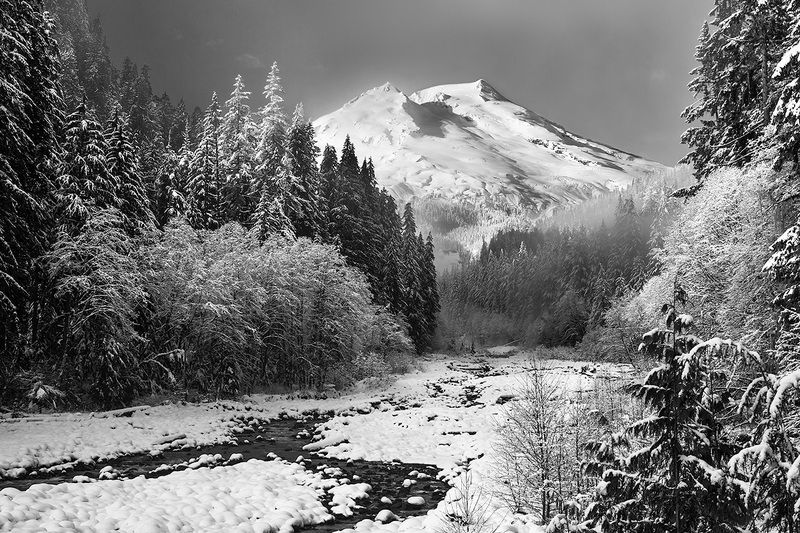 Rainier, Mount Baker is the most heavily glaciated of the Cascade Range volcanoes. It stands majestically above Mt. Baker-Snoqualmie NF with Boulder Creek flowing from its flanks into Baker Lake.